Bucket Biology is on the rise. 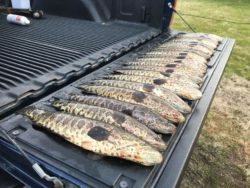 Whether it is Snakeheads in Maryland, Lake trout in Yellowstone Lake, or Bass in wherever, people are catching and releasing fish for personal reasons. 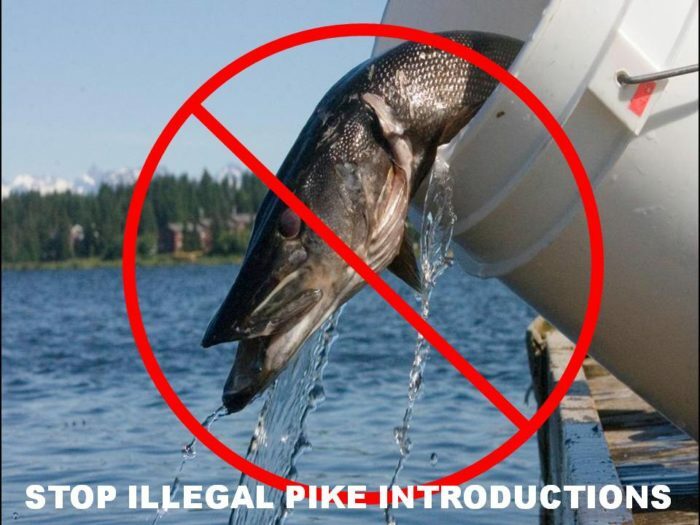 Permits are ignored, laws are broken, and stupid choices are made by ignorant and selfish fishermen. These self-proclaimed “fishery biologists” transport and stock fish where they want. No attention or respect is given to the ecosystems or outcomes. They simply make choices for everyone else to deal with. Bass fishermen want bass, walleye guys want walleyes, lake trout fishermen want Lakers, and Snakehead fishermen want tropical snakeheads. All of them are breaking the law, ruining more natural fisheries, and changing ecosystems in ways we will never be able to repair. If you target certain species, travel to those destinations and enjoy the day. Don’t ruin fisheries for personal gain. There are plenty of examples that highlight these stupid mistakes. Snakeheads are the perfect example. These tropical fish can spread quickly. Nothing preys on them. They are illegal immigrants and aliens from different ecosystems. Snakeheads can survive harsh conditions and are able to walk to other watersheds. Once they are added to a watershed, they are there for good. Some anglers practice Catch and Release instead of killing the snakeheads as the law requires. Frogs, waterfowl, other fish species, and native gritters are consumed and the ecosystem will die. Yellowstone Lake was attacked when Bucket Biologists decided to transport Lake trout from nearby fisheries into the protected waters of Yellowstone Lake. This fishery was home to Yellowstone Cutthroat trout. Once the Lakers began to reproduce, the Cutthroats were consumed, and the fishery is trashed. Commercial netting harvests hundreds of thousands of lake trout annually. Fishermen are required to keep or kill every lake trout hey catch but the damage is done. We have all seen the videos of the jumping grass carp, crawling snakeheads, monster goldfish, piranhas, tilapia, and odd fish showing up in pristine fisheries. Many of these creatures are dumped after owners are tired of their aquarium pets. Other creatures like the boas and pythons in the everglades, feral pigs destroying farms, killer bees, alien mosquitos, stinkbugs, and other exotic species taking over. Sportsmen also need to monitor this problem. Please call 1-800-TIP-MONT to report poachers and violators of our fisheries. Let the trained biologists and scientists manage and protect our wonderful wild places. Find other uses for your buckets than for polluting our fisheries. Hopefully nature will find a way. Use your buckets to pick up some trash, don’t trash our fisheries!